We are Coffee Table Book Printers – these books are our Specialty. 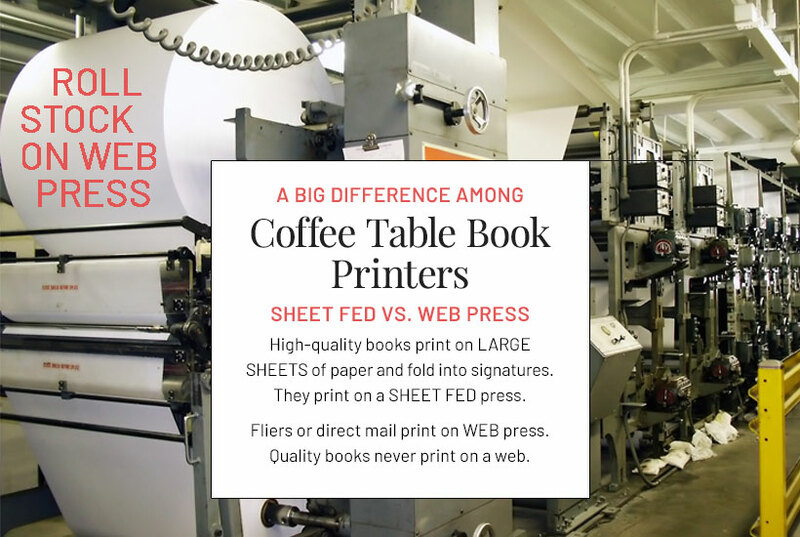 The coffee table book printers for Self Publishers. Please consider Star Print Brokers to print your books. Most of all, they expect a reasonable cost. A rock bottom cost means inferior quality. Star Print Brokers takes pride in being the best, but that doesn’t mean the highest cost either. Star Print Brokers has been around since 1999, and are trusted to provide the best quality printed books. We print all kinds of books and have a solid reputation as book printers specializing in coffee table books. Star Print Brokers prints nearly any book and has high-quality standards. Bring us your novel, children’s book, cookbook, photography book, or art gallery catalogue. Self-publishers are proud of the books we print for them. Our book quality is often mentioned in reader reviews. We are proud too! Our book printing products and services are always reasonably priced. Most self publishers need top quality printed books, but don’t want to break the budget. We deliver quality books, reasonable cost, and offer more extras than print on-demand services offer. 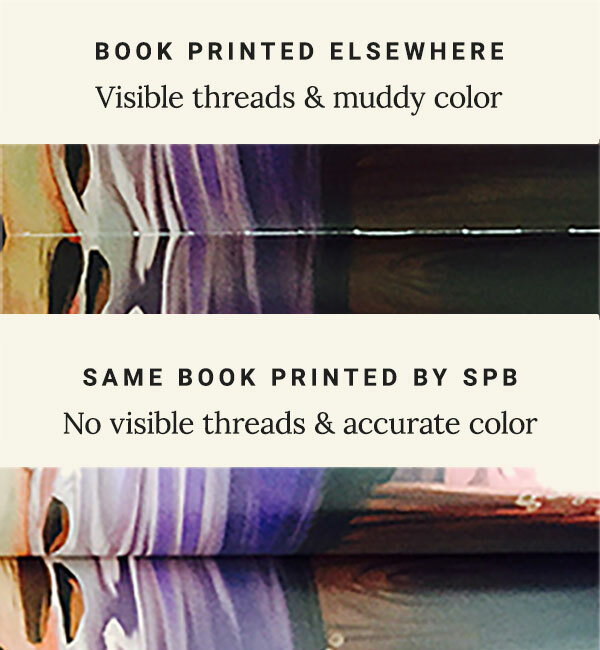 You won’t find visible binding threads between the pages of our books. Take a look at the images to the right. The top image show a title we printed in the USA. This style binding is also standard overseas. We printed the same title in Asia. There are no visible threads. We care about providing great quality. Binding is important for the durability of a book, in addition to the look. We are top quality coffee table book printers for 1,000 books, 50,000 books, or more. Star Print Brokers is not afraid of providing high quality throughout a large print run. Whatever your book printing needs, get a quote from us first! If you are just starting to design your book, you will need InDesign, or ask us for a quote to design your book. Call (844) 603-1777 toll-free, or (425) 603-1777 in the Seattle area. Request a quote today from the finest in coffee table book printers!